Johannesburg (South Africa) – With a first round victory at EFC AFRICA 12, Wade Henderson secured his spot at EFC AFRICA for another 18 months. Although the veteran was on shaky ground heading into the bout with Josh Muller on 2 March, the win allowed him to retain his place at Africa’s premier mixed martial arts promotion. 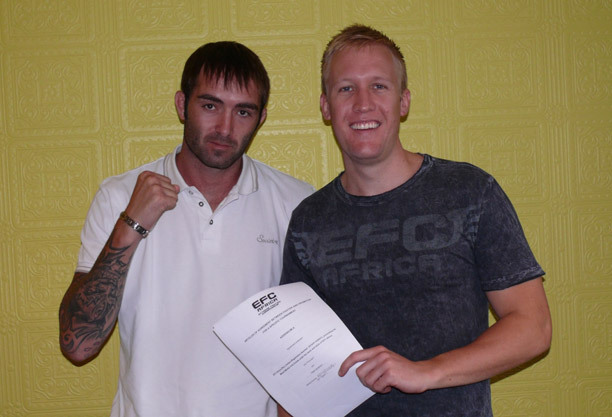 Henderson will be back in action at EFC AFRICA 13 in Cape Town on 13 April. He re-enters the middleweight division against James Le Roux and looks forward to another shot at working his way through the ranks.